Drone Efficacy Study: Evaluating the Impact of Drones for Locating Lost Persons in Search and Rescue Events. Search and rescue teams found simulated victims faster when they used drones for help, found this report from DJI, EENA and Black Channel. The study concludes that drones offer enormous potential to help search and rescue (SAR) efforts, and rescue squads need to develop new standards, tactics and protocols to take full advantage of drones’ aerial perspective. 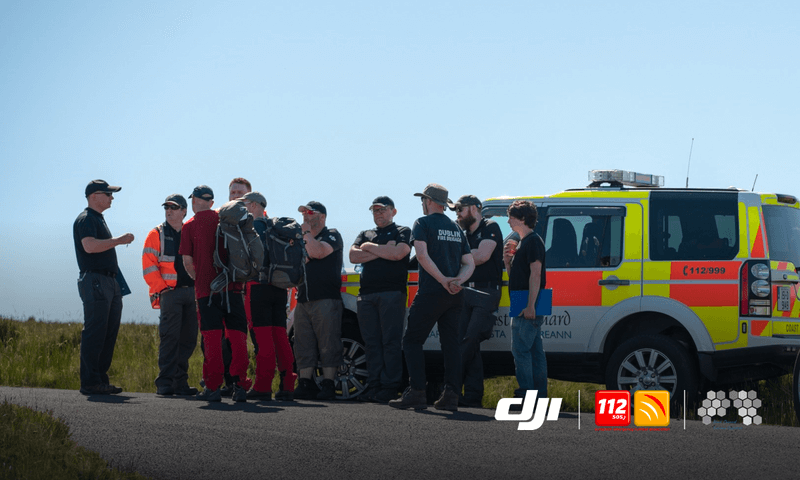 Data was collected by sending randomly-selected teams of searchers to find simulated victims in rocky fields and cliff edges in Ireland and Wales. Thirty teams used off-the-shelf drones with standard visual cameras, while another 20 teams searched on foot using traditional protocols. Seventeen ground search teams found their victims, compared to 23 drone teams, indicating that drone-assisted SAR protocols and procedures have not advanced enough to maximize the benefits of the technology. However, the drone searchers found their victims an average of 191 seconds faster, or more than three minutes.